Bushed Firing Pins - Circular steel fittings, about 1/2 inch in diameter, screwed into the breech face of a gun and through which the firing pins pass. Firing pin bushings allow the convenient replacement of broken firing pins. 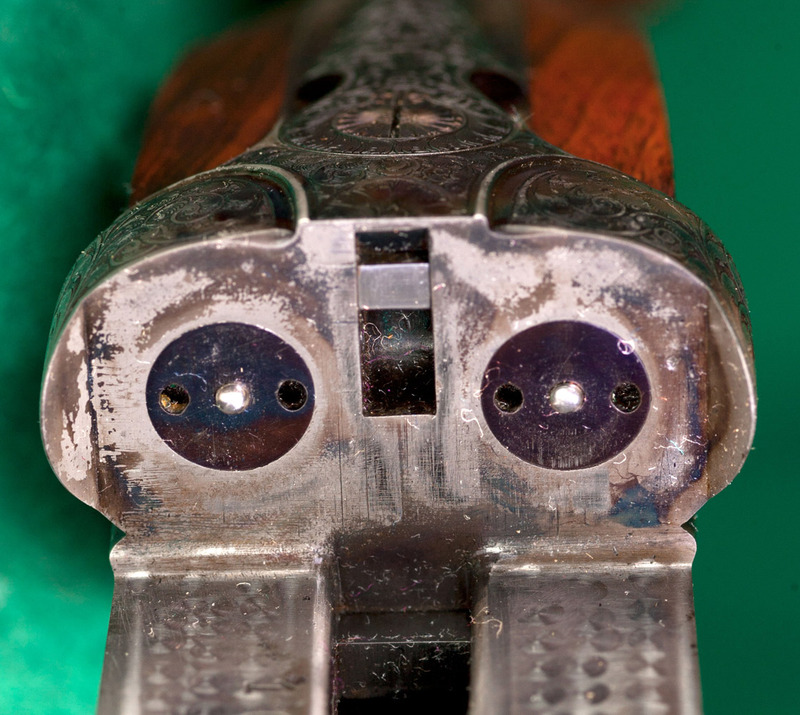 They also allow the renewal of an older gun where, over the decades, leakage of high-pressure gas from corrosive primers has eroded the breech face around the firing pins. And, they provide an opportunity for a skilled gunsmith to adjust headspace. In British: Disk-set strikers. Pin spanner, tool for removing and replacing firing pin bushings.